AimFresh presents its newest brand: Dipz & Grow. Dipz & Grow is all about ‘easy gardening for eveyone’. 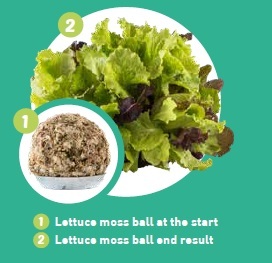 The Dipz & Grow lettuce moss ball is the first product that the company presents in a range of exiting innovative products. Only a few steps are needed to create your own lettuce: dip it, grow it, eat it. It is perfect for growing a continuous supply of fresh, organic, crispy and crunchy baby leaves.